From bed bugs to ants, fleas, and wasps, pests can turn your home from haven into a hotbed of discomfort. You don’t have to live that way! Northwest K9 Bed Bug Detectives & Pest Control is here to help you take back control of your home. Pest infestations can not only be a nuisance, but they can also be a hazard to your home and a danger to the health of your family. The Northwest K9 team uses our expertise to customize a pest control solution to your needs, getting rid of your problem pests and brainstorming preventative measures to combat future concerns. Read on to learn more about Seattle’s Top Rated Local® pest control solution, and contact Northwest K9 Bed Bug Detectives & Pest Control today to get started! Ants are one of the most common pests homeowners and PNW residents have to deal with. There are often two species involved in an infestation: odorous house ants, also known as sugar ants, and carpenter ants. Each comes with its own set of problems. House ants, for example, don’t bite or sting, but they can contaminate surfaces and possibly make you sick. Carpenter ants, on the other hand, can cause structural damage to your home. A professional team like Northwest K9 Pest Control can help you identify your specific pest problem and recommend a custom ant control solution. Not only can fleas cause problems for your pets, but they will also bite humans, causing irritation and discomfort at the very least. Infants in particular are susceptible to allergic reactions, and every member of your household may be exposed to diseases or infections via flea bites. Pets are known as common carriers of fleas, but this pest can also be introduced by rodent infestations in or near your home. Fleas reproduce quickly, which can exacerbate the problem. Contact a flea control team as soon as possible to nip problems in the bud! Another pest residents of the Pacific Northwest have to watch for are spiders. There are several species residing in Oregon and Washington, and the three that you should be especially careful of are black widows, hobo spiders, and brown recluse spiders. These species have venomous bites that can endanger human health, although most won’t bite when disturbed and cornered. However, that simply may mean taking wood from the wood pile or putting on shoes that have been left out in the open. A spider control professional, like a Northwest K9 Pest Control team member, will be able to help you identify what kind of spider you have in your home, as well as determine the risk factors and the best course of action. One of the most dreaded of household pests: the cockroach. German cockroaches are a notorious species for infesting human residences, and Oriental cockroaches can also be problematic. They like high-moisture areas, especially those that offer food sources, and are drawn to places like pantries and sinks with dirty dishes. Cockroaches reproduce quickly, so if you see one, there are likely to be many more hiding out of sight. As you may know, they are also notoriously hard to kill, so seeking professional cockroach extermination services is key to getting rid of your unwelcome guests. Pantry pests, also called stored product pests, include a number of different beetles and moths. They are called pantry pests, as you might expect, because they hide in pantries and feed on your stored food. Drugstore and cigarette beetles and Indian meal moths are among the most common pantry pests in the Pacific Northwest. The biggest risk they pose is contaminating your food and exposing you to illness. Northwest K9 Pest Control can help you develop effective extermination and preventative measures. Yellow jackets, a member of the wasp family, collect in large colonies and can pose a real risk to you and your family. They eat other insects like flies and spiders, which can seem like a boon, but yellow jackets are also very territorial and can be aggressive. Unlike honey bees, yellow jackets can sting you more than once, and this can be fatal to those with allergies or sensitivities. Removing yellow jackets can be especially risky for someone unequipped and untrained, not only because of the risk of stinging but also because of a yellow jacket’s built-in defense mechanism. A dying wasp produces pheromones that alerts other wasps in the area to the danger, drawing them to you and putting you at high risk for getting stung by the rest of the colony. 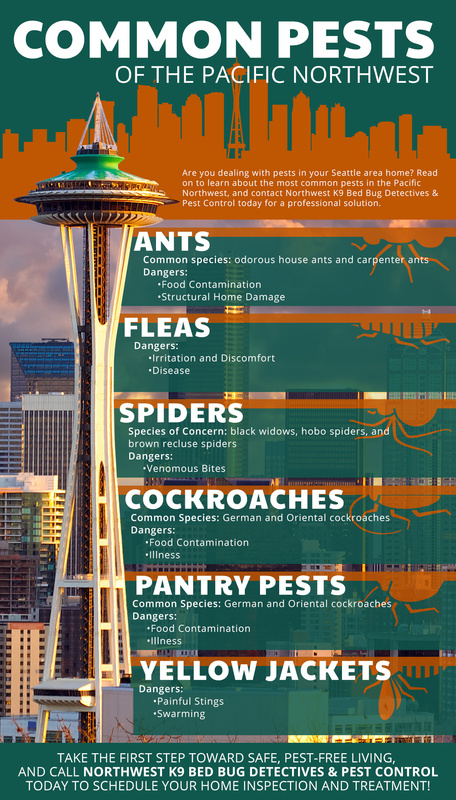 If you are facing any of these Pacific Northwest pests, Northwest K9 Bed Bug Detectives & Pest Control is here to help! We will perform a thorough inspection of your property and utilize integrated pest management (IPM) practices to find the most effective, environmentally friendly solution to your pest problem. We will also offer you the tools, resources, and services you need to prevent future infestations. Make your home a haven again — contact Northwest K9 Bed Bug Detectives & Pest Control today! When you are facing a pest problem, your first concern is likely finding a fast solution. However, sprays and poisons you find at a hardware store can be problematic, not only because they don’t necessarily work, but also because they can put your family at risk. Read on to learn more about why professional pest control is worth the investment, and then contact Northwest K9 Pest Control today to learn more! As we have discussed, many of these pests can pose health and safety risks to you and your family. Utilizing ineffective DIY treatments means further exposing yourself to the inherent hazards of a pest infestation. Those treatments themselves can also pose a health risk, especially if applied improperly. 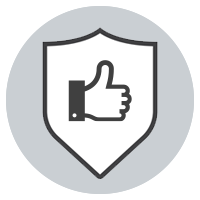 Professional pest control technicians are trained to use these products safely and effectively, and they are held to standards that are designed to protect your home, your family, and your pets. The greatest advantage of hiring a professional pest control team is that they know how to get the job done right the first time. They have the expertise to identify the specific species of pest that you are dealing with, as well as the experience to find a solution that will work best for that particular pest. 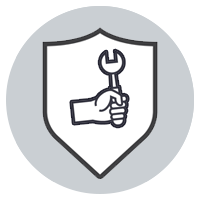 Your technician can even give you advice on preventative measures or offer ongoing maintenance options. Often, the reason people choose to try at-home pest control solutions is because they believe it is the more affordable option. In reality, a DIY job can end up costing you more! Pest control products are typically more affordable for companies that can buy them wholesale, and if you settle for a cheaper option, you may end up wasting money as you try ineffective product after ineffective product. The ongoing problems caused by unresolved pest infestations can also cost you, whether you end up paying to replace pantry staples spoiled by Indian meal moths or scheduling home repairs to address carpenter ant damage. If you look at the big picture, hiring a professional pest control team can save you money! Now that you recognize the value of hiring the professionals, we hope you choose to work with Northwest K9 Bed Bug Detectives & Pest Control. 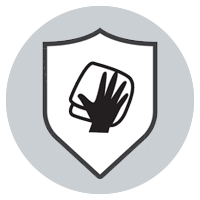 We strive to set ourselves apart from other companies in every way, from the safe solutions we use to the quality of our customer care. The Northwest team prioritizes your health and safety in everything we do, which is why we employ integrated pest management (IPM) techniques for effective treatments that are environmentally friendly and safe for use around kids and pets. We also do our best to respect your home and your time. You will be contacted when a technician is en route to your property, and our team will be as meticulous and efficient as possible in the process of inspection, treatment, and prevention. Prioritize your comfort, health, and safety and choose professional pest control services. 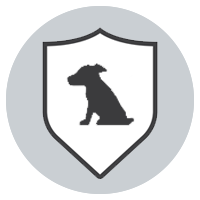 Contact Northwest K9 Pest Control today to schedule your inspection and treatment! Prevention is just as important as elimination, especially if you don’t want to call us back month after month! When we visit your home for a treatment, the Northwest Pest Control team will offer you tips and resources to keep your home as pest-free as possible into the future. You also have the option of investing in preventative maintenance for year-round protection. Northwest K9 Bed Bug Detectives & Pest Control utilizes IPM techniques for the best results. This means choosing a treatment solution for every home that is as effective, economical, and environmentally friendly as possible. We utilize our understanding of pests, their life cycles, and how their interact with their environment to address and prevent problems. We always start with the safest, simplest solution and adjust as needed to address your specific pest problem. For more information on our services, please don’t hesitate to contact Northwest K9 Bed Bug Detectives. You can talk to a specialist and schedule a thorough inspection of your property. If you’re looking for more information, you can always explore our blog for further advice on pest identification, control, and prevention!